Over time our carpets collect unwanted stains, dirt and dust and need expert cleaners Hammersmith who can handle with them all. Unfortunately hoovering can only tackle the surface of your carpet. Deep down in the fibres of your carpet bacteria can grow which prevents that new carpet smell. Bring your new carpet smell back with our carpet cleaning Hammersmith service. Whether it's red wine, chocolate or grass stains guarantees to get the stain out. 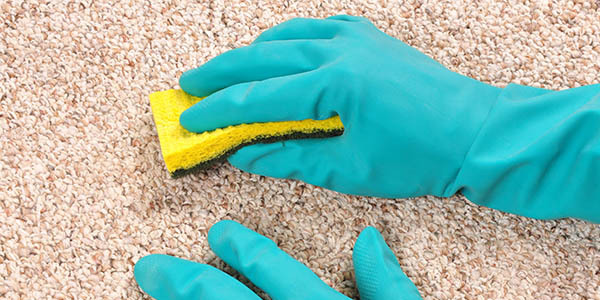 As one of the areas leading professional carpets cleaners in W6 region, they know the right procedures needed for removing stains and getting carpets and rugs to look brand new again by using the latest equipment and cleaning products. Keeping sofas looking new when they are used everyday can be a difficult task, especially with young children or animals around. Our cleaning company in the local area of W6 are experts at upholstery cleaning Hammersmith and understand how precious sofas are to their customers. After all, sofas are used to relax in and feel more at home. As a result, a sofa clean makes sure your sofa stays fresh and looking like new again for longer. Our expert Hammersmith cleaners know the best cleaning products and equipment to ensure no damages are made to your upholstery. If you require an upholstery clean then don't hesitate to give us a call for an unbeatable price. Renting can be expensive which is why it is important that you get your deposit back. It would be a shame to lose out on your deposit because your home wasn't to a high cleanliness standard. Don't panic! Our end of tenancy cleaners Hammersmith will take away the stress of cleaning by doing it for you. A end of tenancy clean will get rid of all these unwanted stains and marks helping you get one step closer to your deposit. Our dedicated cleaners W6 area work hard to clean your entire home at a time to suit you. We offer the best service at affordable prices. If your end of tenancy is coming up and you want the best in your area then contact us today. Scrubbing out stains on the kitchen floor, hoovering dirt from the hallway carpet and picking up dust collected in the bathroom can be very unpleasant. If you seem to be doing this every week then our domestic cleaning Hammersmith can help you. Our reliable cleaners are great at cleaning those hard to reach places that go unnoticed as well as removing tough stains. A domestic clean keeps you home looking and smelling fresh for longer keeping you and your loved ones free from harmful bacteria. Domestic cleans from our company are the best in the W6 region so why not give us a call? We offer high standard cleaners at affordable prices. When it comes to cleaning your house in Hammersmith, W6, our professional house team know how much your house means to you. That's why our friendly home cleaners take the time and care required to clean your home to a high standard. We have helped many satisfied customers in the past with cleaning their precious homes and we would be happy to clean your house too. A house cleaning Hammersmith service puts your mind at ease so you can start to feel at home once again. The best service at the lowest price is only a phone call away. Commercial cleaning and office cleaning are at the heart of any business. It's important that staff feel they can work in a clean and tidy environment. Having unnecessarily unclean office can have a devastating impact on employees and therefore business. 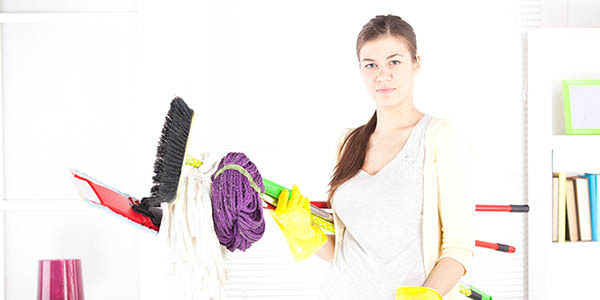 Our office cleaning Hammersmith professionals are flexible and can work around your business. Our hard working office cleaners in W6 area work around employees so that when they arrive at work a clean office is waiting for them. Our reliable office cleaners know the right equipment to use that will both clean and maintain your telephones, fax machines, computers and more! Don't delay get in touch with our cleaners Hammersmith today. Leave all your cleaning issues in the expert hands of our cleaners Hammersmith. We provide the greatest prices around W6 area. Great work once again from Cleaners-Hammersmith. They always seem to go that extra mile. It's really apparent if you've ever hired anyone else, but I really cannot recommend them enough. Best house cleaning company I know, by far. Description: When you need express cleaning help call our professional cleaning company on 020 3318 8963 now and hire the best professionals across Hammersmith, W6! Copyright © 2013 - 2015 Cleaners Hammersmith Ltd. All Rights Reserved.